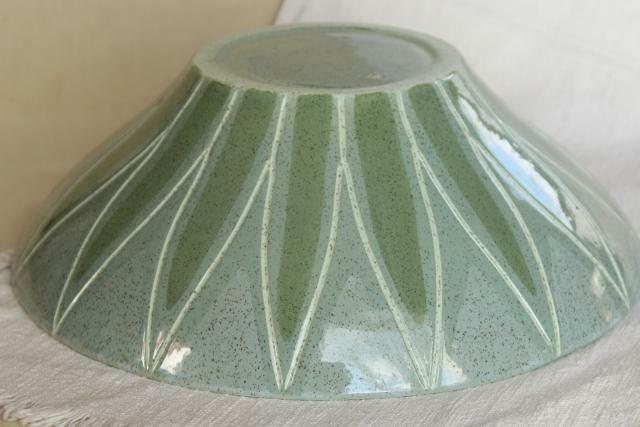 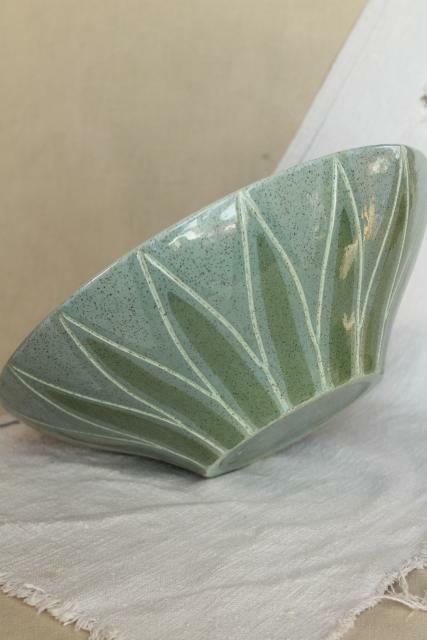 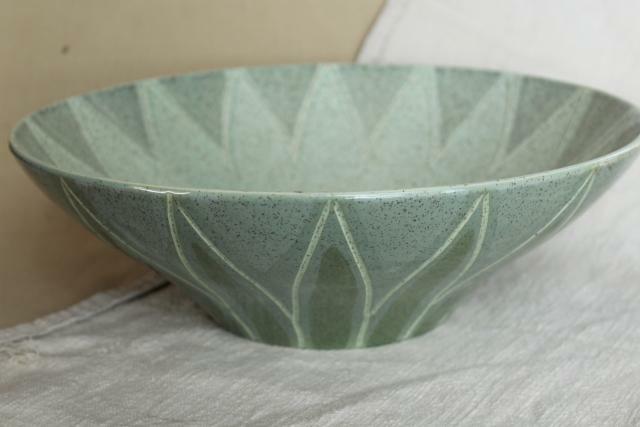 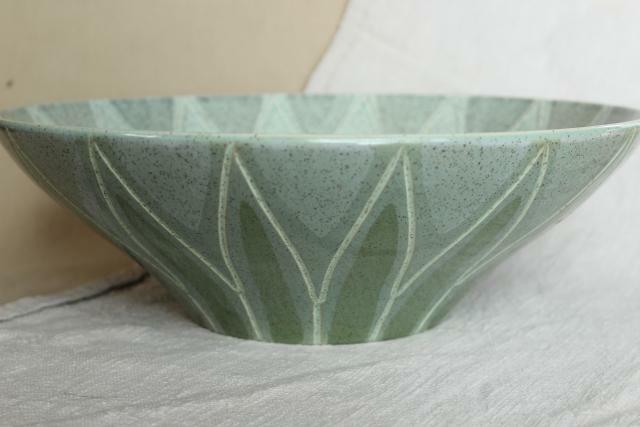 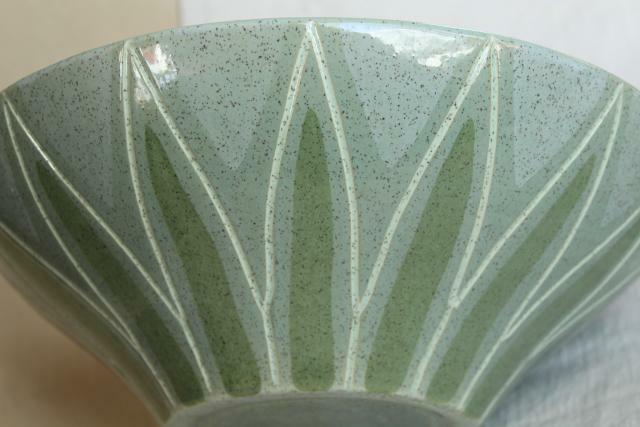 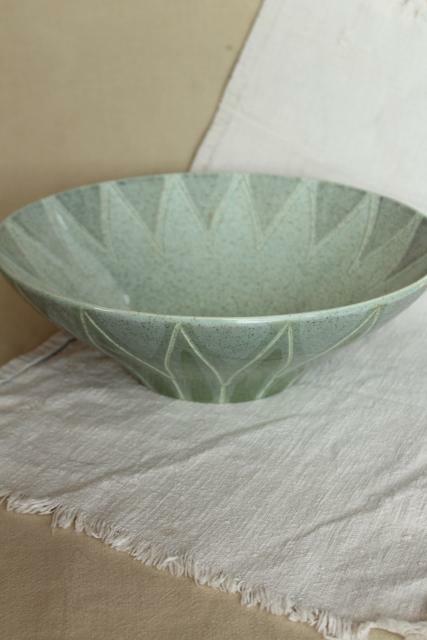 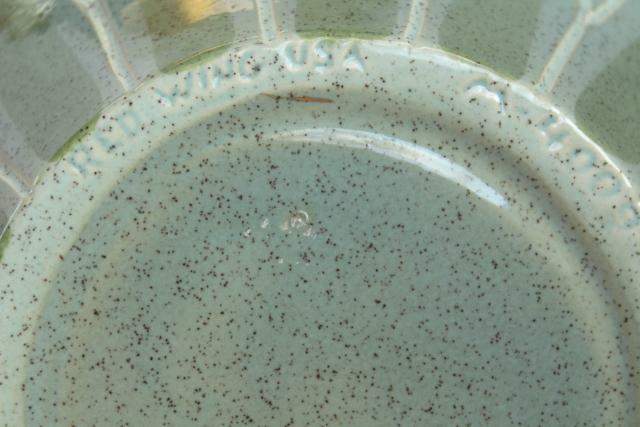 1950s vintage Red Wing Spruce green pattern salad bowl, about 12" in diameter. 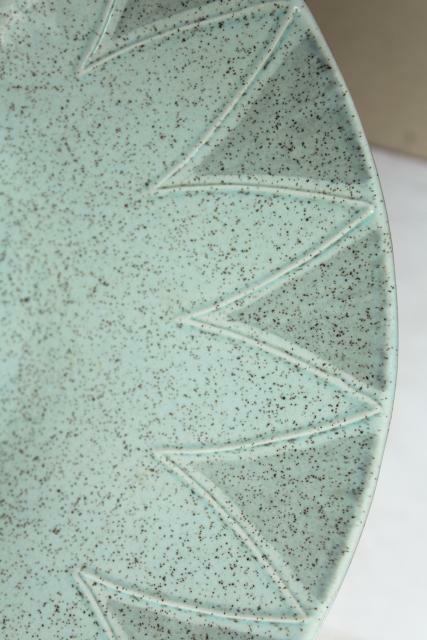 This looks good, very little wear, no chips or damage. 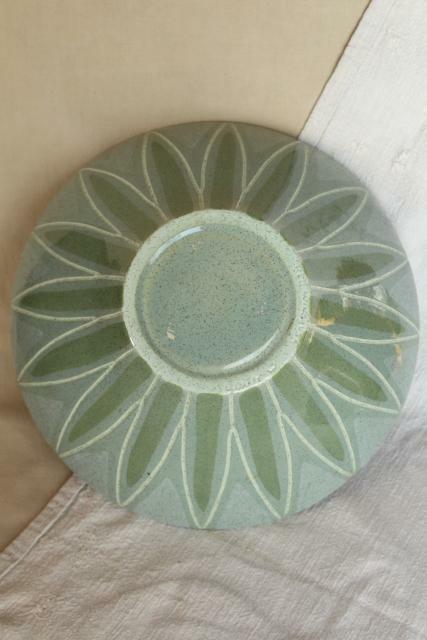 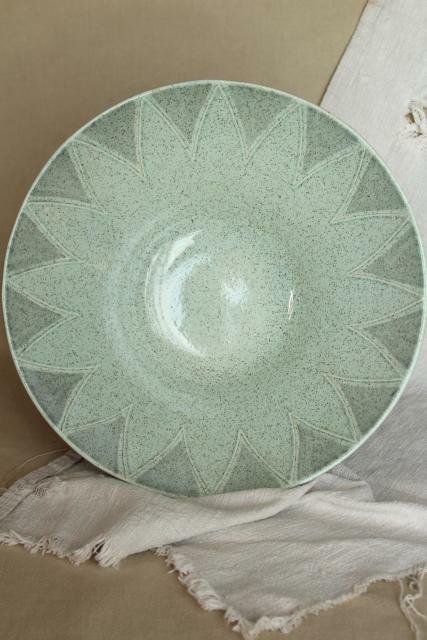 Very retro color (a light greenish turquoise) and atomic style sunburst or flower design!